Get a free 5x7 print with magnet frame with purchase of high resolution. Photographing in the Ft. Hood area of Texas, Military Balls are inevitable. In this day and time our Military women and men are continuously moving about from place to place. To make it easier for all involved we have purchased an event printer that prints & laminates the photos quickly so that we are able to deliver the images during the event. We are offering our packages at reasonable competetive prices. Our primary package is the Basic Military Package. 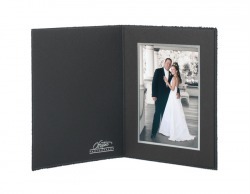 In this package you will receive a 5x7 laminated image enclosed in a beautiful classic black folder. All images taken will be put on the web for downloading. This package costs $20.00 including tax making this package a reasonable priced package to capture the memory of this day and time. WE PRINT ON LOCATION!!!! Make sure you read our policies.